This recipe was published by the Women’s Weekly in August 1992. 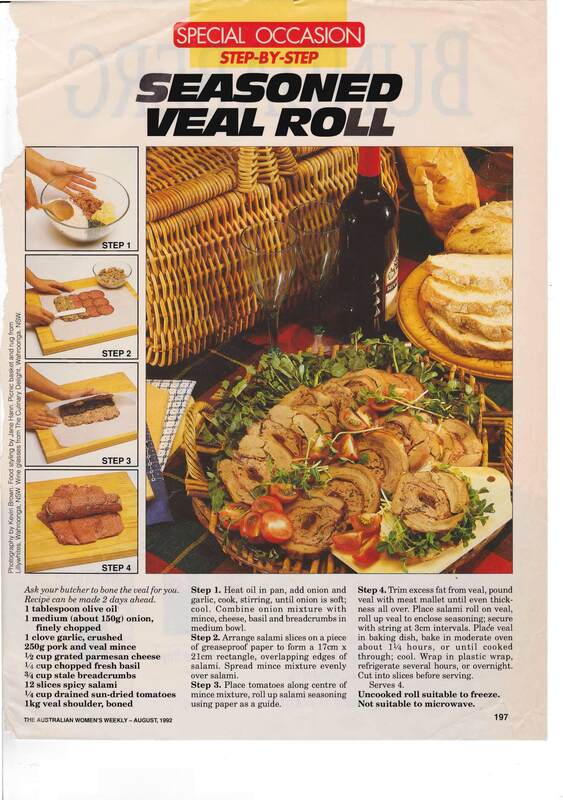 Veal was more popular back then and wasn’t as expensive as it is now. I make a similar roast using beef so I think you could substitute beef or even lamb as the main meat and you change the minced veal as well. I was really surprised to find this recipe in the collection. For many years Mum made a sausage dish that consisted of beef sausages, bacon, onion, corn, tomatoes and noodles. Although it was quite simple it was always a great hit and I’ve made in many times myself. 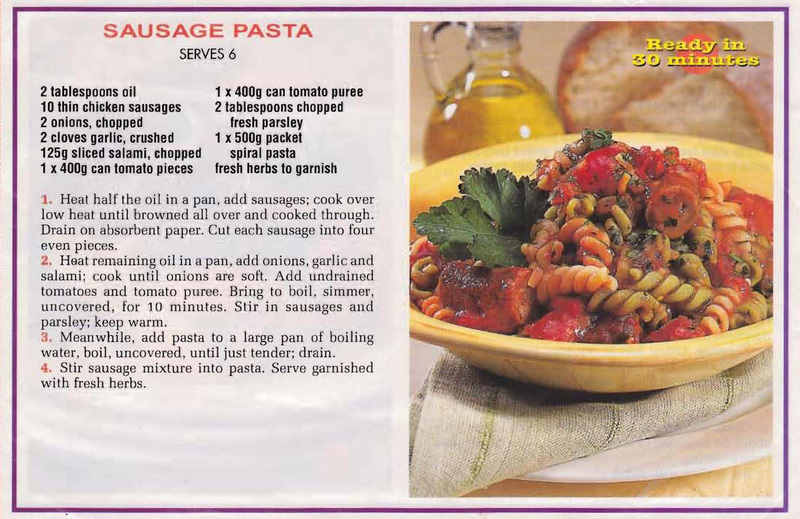 This printed recipe is a bit fancier with chicken sausage, salami and garlic, but it’s basically the same idea. Either version is worth trying out.